Wireless Sensor Networks or "Look Ma no wire!" 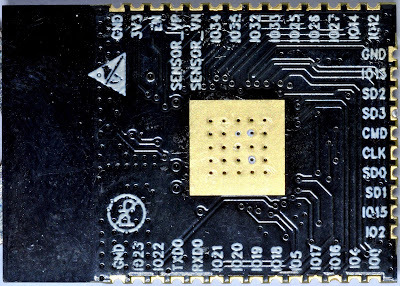 I'm glad to be one out of the 200 beta testers for the new Espressif ESP32-chip (it's labeled ESP31B, the obvious name for the beta-ESP32? 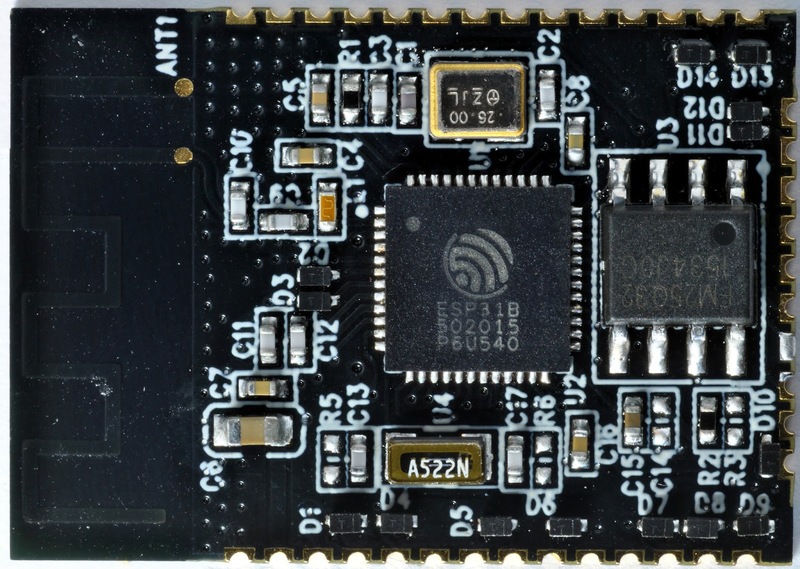 ), which is brand new and adds some functions like Bluetooth (Low Energy) and a second core to the cheap-and-easy ESP8266. Before soldering the module I took some photos with my Micro Nikkor 105mm/2.8f and stitched them together with Microsoft ICE. This results in photos of about 4400x3100 pixels, which means a quite big download if you click on the preview pictures. If you want to have a look what I'm currently developing for a new smart home platform using the ESP8266 you can find more info here (CO2 sensor module) and here (Experimental Platform) which is currently in alpha testing. 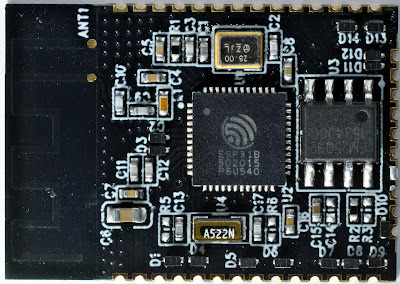 Concerning the ESP32 Hackaday has a nice news flow and Limor "Ladyada" Fried from Adafruit made a detailed video on the new beta module. If you are a german reader then you can read my article on the ESP8266 in the current edition of the german Make: magazine (10 pages). So enjoy the the new module and stay tuned for more news. Click here for the HiRes pictures: top (~7MB), bottom (~10MB).